The Law Firm of Joseph M. Lichtenstein's founder and president will provide a lecture at the American Association of Justice Winter Convention, which gathers trial lawyers and other experts for Continuing Education Programs. Attorney Joseph M. Lichtenstein, founder of the New York-based medical malpractice firm the Law Firm of Joseph M. Lichtenstein, will be lecturing to his colleagues at the American Association of Justice 2016 Winter Convention. On March 1, the final day of the conference in Boca Raton, FL, Mr. Lichtenstein will present a lecture, entitled "Dealing With Defense Oriented Literature," part of a broader specialized CLE track, "Overcoming Obstacles in the Medical Negligence Case." The American Association of Justice (AAJ) is the largest trial lawyer organization in the country that works with injured plaintiffs. Mr. Lichtenstein regularly serves as a faculty member at the annual AAJ conferences. The 2016 Winter Conference, which is being held from Saturday, Feb. 27 to Tuesday, March 1, allows plaintiff lawyers and other legal professionals to earn up to a year's worth of CLE credits. The lecture caps a busy winter for The Law Firm of Joseph M. Lichtenstein, which has experienced a number of internal staff additions in recent months. This February, the firm is welcoming their new Associate Theodore McKinley Thornton. Mr. Lichtenstein believes that Mr. Thornton is both a highly motivated and creative lawyer who will be a valuable addition to the firm. The firm also recently welcomed Marjorie Cusick as a new senior paralegal. Cusick has decades of experience as a paralegal and office manager handling complex litigation. Looking forward, the firm will be trying a number of complicated medical malpractice cases involving newborn children in 2016. In 2012, Mr. Lichtenstein overturned the “maternal forces of labor” defense, which had previously stood for 20 years and was a major obstacle in many malpractice cases. 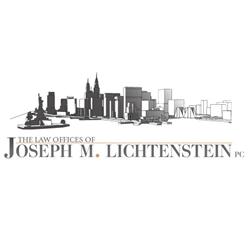 The Law Firm of Joseph M. Lichtenstein is a New York, New York-based law office that provides the victims of medical malpractice with the legal representation they need. The Law Firm of Joseph M. Lichtenstein P.C. has a proven record of achieving substantial verdicts as high as $47 million, with frequent seven-figure settlements, even in cases other firms determined were too difficult to prosecute. For more information on the Law Firm of Joseph M. Lichtenstein, please call (888) 392-3104 or visit http://www.medicalattorneyny.com to learn more. The Law Firm of Joseph M. Lichtenstein P.C.